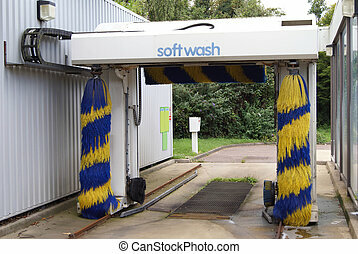 Wash car. 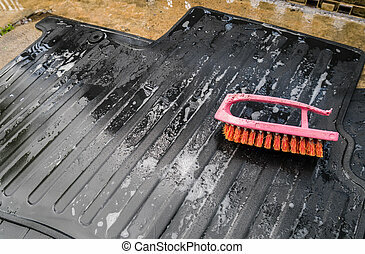 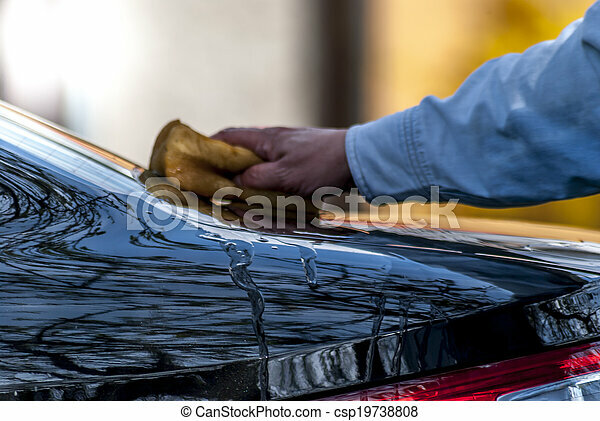 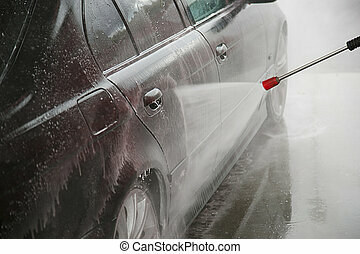 Hand with yellow sponge wash of a black car. 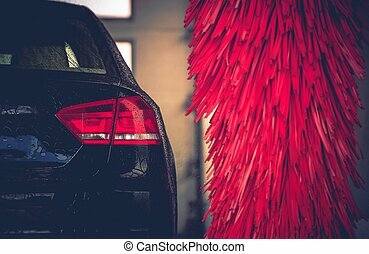 Brush Car Wash Car Cleaning. 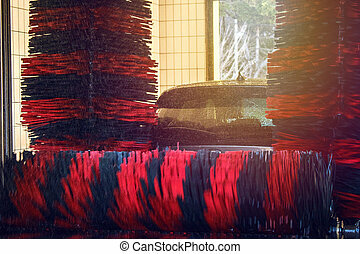 Red Car Wash Brushes Ready to Use. 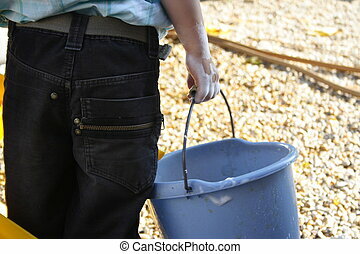 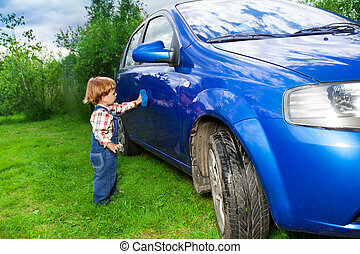 A young man washing car, pouring water from bucket. 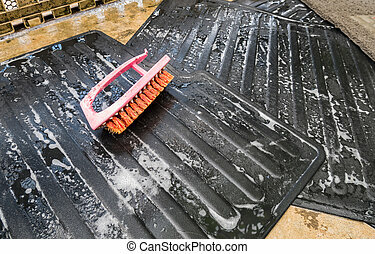 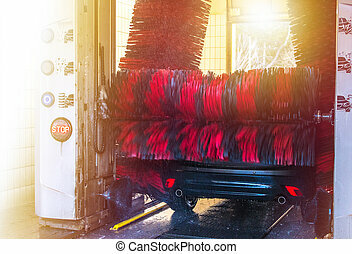 Toilet brush and capet car for wash car. 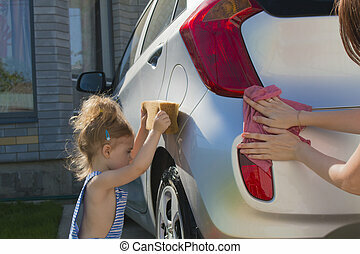 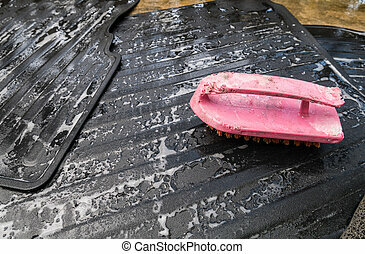 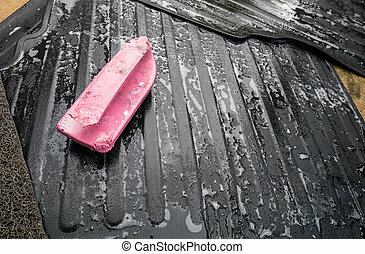 Hand hold sponge over the car for washing. 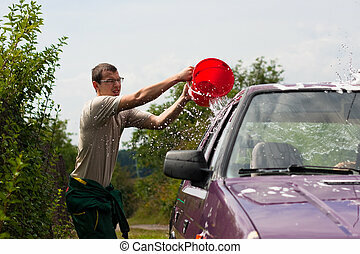 Wash car.